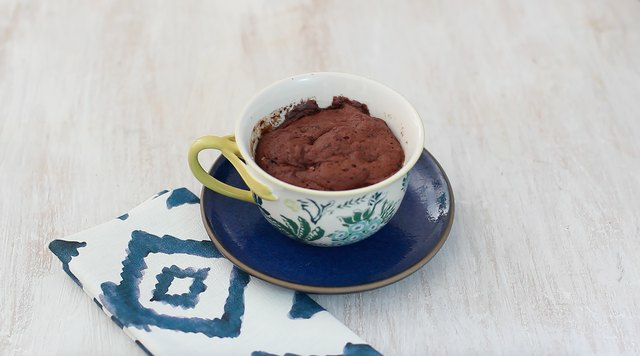 When that sweet tooth strikes and you're short on time, this decadent mug cake comes together in less than five minutes. Rich, gooey and indulgent -- it's the perfect dessert for a party of one. Spray the inside of the mug with cooking spray or grease with butter. 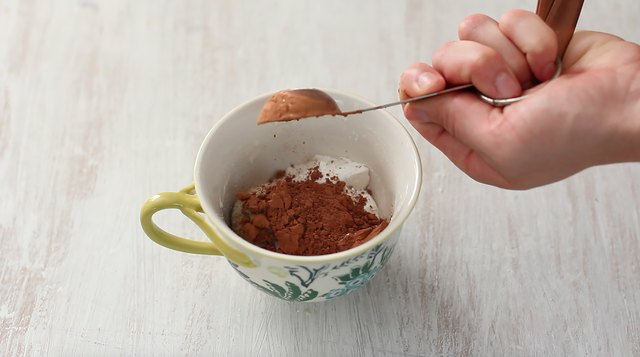 Add the flour, baking powder, sugar, brown sugar, cocoa powder and salt to the mug. Add the milk, melted butter, egg and vanilla extract. 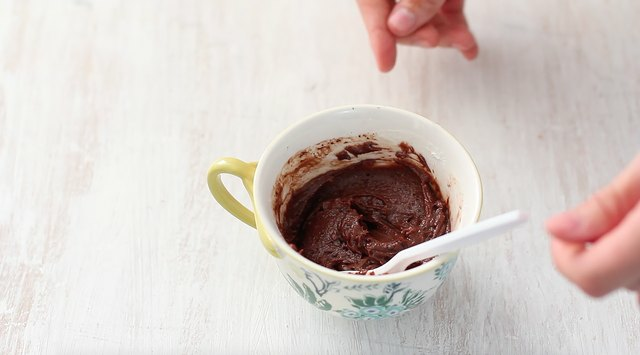 Stir all of the ingredients together until they form a smooth cake batter. 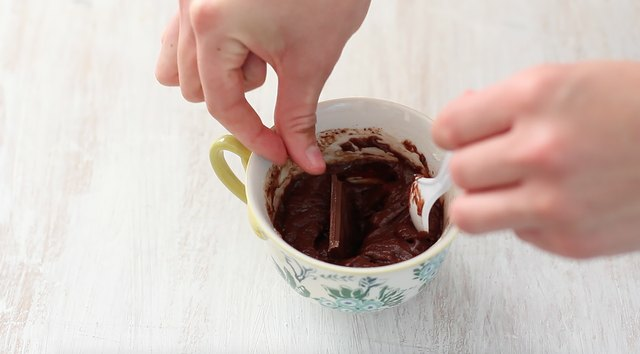 Use a spoon to create a well in the center of the cake batter. 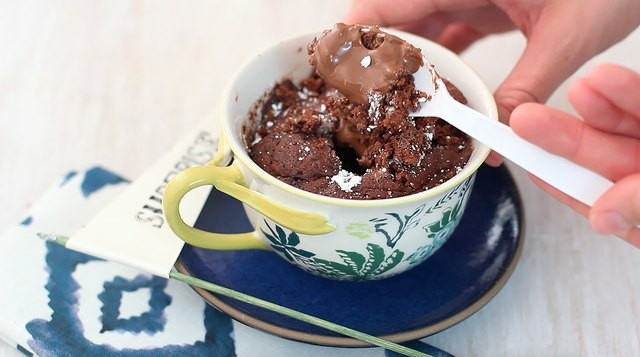 Nestle a square of chocolate inside the well and smooth cake batter over top to cover it. You could add more than one square of chocolate to the center for an extra gooey version. 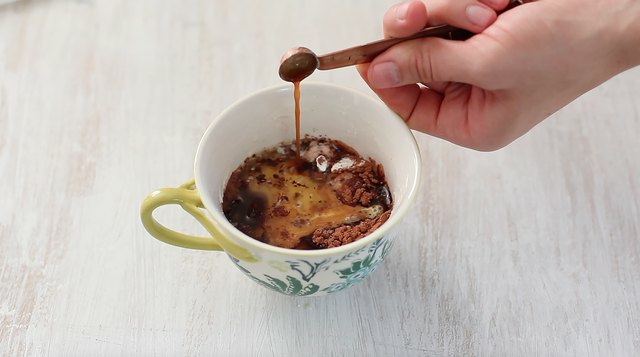 Place the mug in the microwave and cook for 45 seconds. Check the cake for doneness. If needed, microwave the cake in additional 15-second increments until done. Generally, it should take no more than one minute to cook the cake but maintain a molten center. 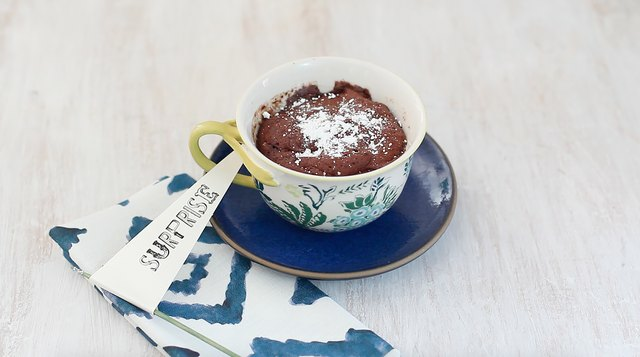 Dust the cake with powdered sugar and serve while warm.